Looking for your next Book Club selection? 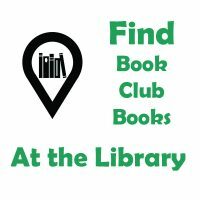 Mendocino County Library has Book Club Books available for the members of your book group to check out. Click on the icon below for the catalog listings for Mendocino Book Club (mbc) books currently available in our collection. Please fill out the form below for your book group for each requested group of Book Club Books. Please note that each book will need to be checked out on a book club member’s library card. The checkout period for each Book Club book is five weeks. Please return each book promptly to the circulation desk for the next book club group.